robert mugabe Archives - Africa M.E. The average age of Africans is 19.5 but many of its leaders rank among the world’s oldest. Africa has the youngest population on earth, but many of the continent’s leaders rank among the world’s oldest. In Africa, 200 million people are between the ages of 15 and 24 and the population of young people is expected to double by 2045. The average age of Africans is only 19.5. The youthful population contrasts with many long-standing government leaders who are in their 70s, 80s and 90s. 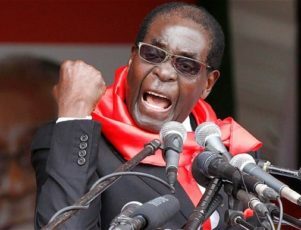 The oldest is Robert Mugabe of Zimbabwe, who at age 92 is the oldest leader in the world. Mugabe was elected to his seventh term as president in 2013. Second oldest is Beji Caid Essebsi, 89, who was elected president of Tunisia in 2014. Cameroon’s president Paul Biya is 83. He has been in power as prime minister and then president for 40 years, making him the longest serving leader on the continent. African leaders in their 70s include Abdelaziz Bouteflika, 79, president of Algeria since 1999; Alpha Condé, 78, president of Guinea since 2010; Manuel Pinto da Costa, 78, president of Sao Tome and Principe since 2011 (and previously from 1975 to 1991); Ellen Johnson Sirleaf, 77, who became president of Liberia in 2006; Peter Mutharika, 75, president of Malawi since 2014; Jacob Zuma, 74, president of South Africa since 2009; and Yoweri Museveni, 71, who has been president of Uganda since 1986. In 2015, the average age of the ten oldest African leaders was 78.5, compared to 52 years of age for the world’s 10 most developed countries. U.S. President Barack Obama is 54, Chinese president Xi Jinping is 62, German Chancellor Angela Merkel is 61, and Russian President Vladimir Putin is 63. Many African nations enacted term limits to prevent leaders from staying too long in office, but leaders both younger and older have sidestepped those laws in recent years. For example, in Rwanda, voters last year extended the potential term of popular president Paul Kagame, 58, until 2034, dispensing with term limits that would have prevented him from running for re-election to a third term in 2017. In 2005, Ugandan lawmakers changed the constitution, allowing President Yoweri Museveni to seek re-election in 2006 and 2011. Now 71, Museveni was re-elected again this year. In Burundi, the re-election to a third term of president Pierre Nkurunziza, 52, sparked protests by those who said it went against the country’s limit of two five-year terms. Not all of Africa’s long-serving presidents are old. Joseph Kabila, now 44, has been president of the Democratic Republic of the Congo since 2001, when he took office after the president, his father, was assassinated. Kabila was elected in 2006 and re-elected in 2011. An election is scheduled in November in the Democratic Republic of the Congo, and term limits could prevent Kabila from running for another term. However, the government has suggested the election may be delayed because of logistical problems, sparking protests as the opposition charges Kabila is maneuvering for another term. David E. Kiwuwa, an associate professor of international studies at Princeton University, said the aging leadership is out of touch as the youth population grows. “With the burgeoning youthful demography at the bottom, the political top is a disturbingly graying lot,” Kiwuwa said. He said the dominance of aging leaders has prevented younger, more creative leaders from emerging even as Africa’s population has grown younger. “Why is Africa saddled with leaders who ought to be enjoying their retirement in peace and quiet?” Kiwuwa asked. 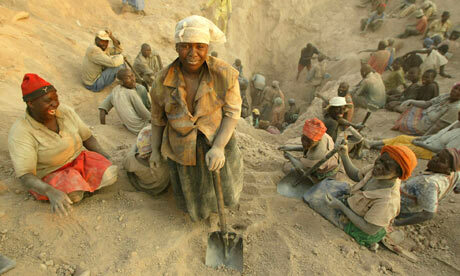 The NGO Partnership Africa Canada (PAC), which monitors conflict minerals in Africa, produced a damning report in 2012 that stated government ministers in Zimbabwe were the ones becoming rich off the back of stolen diamonds. Corruption and theft were so rife that the organization said, “The scale of illegality is mind-blowing” and the investigation named former mines minister Obert Mpofu as having amassed an unaccountable fortune since mining began. Mpofu was said to have been spending $20 million “mostly in cash” over a 3 year period. If high level government figures are the very people denying the state treasury of its rightful income from Marange’s diamond mines, then will a state owned monopoly make much difference? While Mugabe has angrily pointed the finger of blame abroad, it remains to be seen whether those now in charge of the state’s new body, Zimbabwe Diamond Consolidated Company, can ensure that the profits from diamond minds find their way to the rightful government coffers. What is certain is that the foreign companies who have been mining in Zimbabwe will not take Mugabe’s orders without a fight. China has developed closer trade agreements with Zimbabwe in recent years and the Chinese-run mining company Anjin Investments has already challenged Mugabe’s ruling at the High Court. The early indications are that the courts might well side with the mining companies as the largest mine, Mbada Diamonds, has already won its case at the High Court and been given full control of its assets. Where does Zimbabwe’s diamond industry go from here? If the government of Zimbabwe overcomes the legal challenges, maintaining the $1 billion worth of Chinese trade despite seizing Chinese interests, and eradicates the corruption that has plagued the mining industry thus far, then it would obviously earn considerably more money. However, these are a sequence of unlikely outcomes given the manner in which the move has come and given the history of the mining industry in Zimbabwe. Any concerns outside of Zimbabwe have not appeared to weaken the resolve of Mugabe or his government. They insist that the problem lies with theft from abroad and moreover that recent mining has actually been illegal, as the mining companies had not renewed their licenses. Amid conflicting claims and ongoing lawsuits, who emerges as having control over the lucrative Marange diamond mines over the next few months will be of interest to many parties and people both in and outside of Zimbabwe. 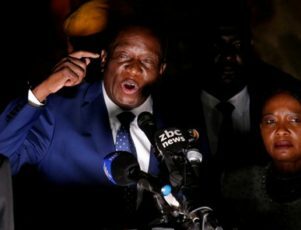 HARARE (Reuters) – Zimbabwe’s plan to win back international funding by paying compensation to white farmers forced off their land faces a major snag: the black farmers expected to stump up the cash say they don’t have it. The new occupants working the land, many of who had few farming skills when they were resettled, say they can barely make ends meet, let alone pay an extra levy. Their agricultural output is a fraction of the level seen before 2000, when President Robert Mugabe – saying he sought to correct colonial injustices – introduced land reforms which led to thousands of experienced white farmers being evicted. 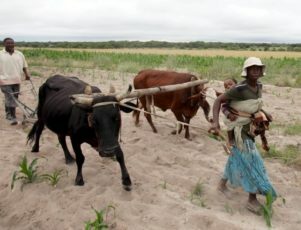 They are also being hammered by Zimbabwe’s worst drought in a quarter of a century and toiling under a stagnating economy that has seen banks reluctant to lend and cheaper food imports from the likes of South Africa undermining their businesses. “Are farmers able to pay? I will say no. Is the land being productive? I will say no again,” said Victor Matemadanda, secretary general of a group representing war veterans who led the land seizure drive in 2000 and are now farmers. He told Reuters that many farmers could not even meet water and electricity bills and that it was the government’s obligation – not theirs – to pay the compensation. Zimbabwe Commercial Farmers Union President Abdul Nyathi also said his members would not be able to pay compensation. “Most of the farmers face viability issues, the government will have to look at other ways of raising money,” he added. Mugabe’s land reforms have led to about 5,000 white farmers being evicted from their land by his supporters and war veterans over the past 16 years, often violently. More than a dozen farmers have been killed. The land seizures, along with allegations of vote-rigging and rights abuses – all denied by Mugabe – led to Zimbabwe being targeted by sanctions from Western donors. This compounded the economic plight of the country, which saw financing from the International Monetary Fund, World Bank and African Development Bank frozen in 1999 after it defaulted on debts. The IMF’s head of mission to Zimbabwe, Domenico Fanizza, said this month that improving fiscal discipline and re-engaging the international community should be priorities for Harare. He said this would “reduce the perceived country risk premium and unlock affordable financing for the government and private sector”. 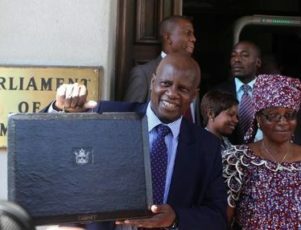 In an attempt to woo back international donors and lenders, Finance Minister Patrick Chinamasa announced a package of major reforms on March 9, including the farm measure and a big reduction in public-sector wages. He said it had the full backing of Mugabe. The farm plan involves 300,000 families resettled on seized land paying an annual rent – based on the size of their farms – towards a compensation fund for those evicted. If they are unable to pay, however, it could be a major setback for the government’s plans to shore up an economy that is stagnating after a deep recession in the decade to 2008, which slashed its output by nearly half, drove hundreds of thousands abroad in search of better paying jobs and has left the jobless rate at around 85 percent. The finance ministry did not respond to repeated requests for comment about the ability of farmers to pay the levy. Reserve Bank of Zimbabwe governor John Mangudya told Reuters that the farmers’ situation should improve once the government grants them 99-year leases on their land, which he said would make it easier for them to secure financing from banks and to pay rent towards the compensation fund. All agricultural land in Zimbabwe is owned by the government and, at present, farmers have no legal claim on their farms – which they say has made banks reluctant to extend loans to buy fertilisers, seed and chemicals so they can raise output. But the government says it will imminently grant the leases. Mugabe’s land reform programme is a highly emotive issue, which has divided public opinion. Supporters say it has empowered blacks while opponents see it as a partisan process that left Zimbabwe struggling to feed itself. The land seizures have led to a steep fall in commercial agriculture output; yields for the staple maize have fallen to an average 0.5 tonnes percent per hectare from 8 tonnes in 2000 when white farmers worked the land. Mugabe acknowledged the skills of evicted white farmers last week, saying they had helped neighbouring Zambia to produce excess maize, which Zimbabwe was now importing. A treasury ministry circular said that compensation would be paid out of rent from black farmers who benefited from the seizures. Chinamasa has not said when farmers would be expected to start paying the rents, or at what level they would be set. When announcing the measures, he said production on black-owned farms was “scandalously low” and that the economy was under siege from the drought. The white Zimbabweans who accounted for the majority of those evicted will be compensated only for the improvements they made to the farms, while the foreign owners forced out will be paid full compensation for land and improvements, under the plan. Chinamasa said Harare broke bilateral investment agreements with other countries when it seized farms owned by foreigners. Tony Hawkins, professor of business studies at the University of Zimbabwe, said the government was “going through the motions to keep the IMF happy”. “They probably want the international community to see that they are doing something,” he said. “I doubt they will press with this ahead of the elections,” he added, referring to the 2018 general election. Farmers are an important voting block for Mugabe’s ruling ZANU-PF party. Hundreds of evicted white Zimbabwean farmers are now farming in Zambia, Mozambique, Malawi and Nigeria, while others migrated to Europe, New Zealand and Australia. Hendrik Olivier, director at the formerly white-dominated Commercial Farmers Union (CFU), said the government had not yet approached evicted farmers to discuss compensation, and also cast doubt on the plan’s viability. The CFU, which once boasted 4,500 farmers who produced 90 percent of Zimbabwe’s export crops, including tobacco and horticulture produce until 2000, now only has 300 members. “It’s a huge step forward, lets acknowledge that. In the past the government has said that it won’t pay compensation,” Olivier told Reuters. HARARE (Reuters) – Zimbabwe needs an annual growth rate of up to 8 percent over the next 10 to 15 years to revamp its economy, Finance Minister Patrick Chinamasa said on Thursday, in addition to other reforms agreed with an International Monetary Fund delegation. On Wednesday, Chinamasa said President Robert Mugabe had agreed to major reforms, including compensation for evicted white farmers and a big reduction in public sector wages as the government tries to woo back international lenders. Chinamasa said that new loans from international lenders will only come if the drought-stricken Southern African nation showed the capacity to introduce a raft of economic reforms. “Any reform agenda is painful. The journey we have travelled has been difficult and will remain difficult,” Chinamasa told a forum discussing Zimbabwe’s future prospects. Chinamasa and Reserve Bank governor John Mangudya are leading Zimbabwe’s re-engagement with international lenders and the finance minister has previously said he has had to overcome divisions within Mugabe’s cabinet to pursue that process. Zimbabwe is trying to emerge from more than a decade of isolation that saw the IMF, World Bank and African Development Bank freeze lending in 1999. 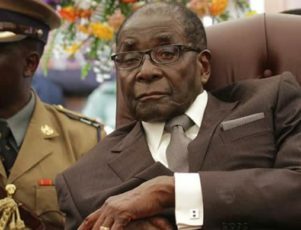 Western powers imposed sanctions on Mugabe’s government over allegations of vote rigging and human rights abuses. Mugabe rejects the charges. The IMF executive board will on May. 2 consider Harare’s plan to repay $1.8 billion in arrears. Chinamasa said he was seeking clear commitments from the IMF that clearing the arrears would trigger new financial aid. “As I stand before you I am in buoyant spirits because I know that the measures that we are taking will exploit and realize the full potential of this country. We just need an uninterrupted process of reform,” said Chinamasa. “We are not expropriating. Remember the concession that we are taking does not belong to the company … it vests in the state. We are not touching the equipment, the bulldozers, the excavators, everything that you have put up remains your assets,” Chidhakwa said. “We have created a very unstable and threatening investment environment, no matter which sector you invest in Zimbabwe you will be interfered with,” said economic consultant John Robertson. 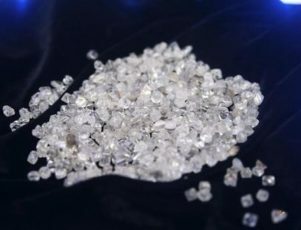 Zimbabwe was the eighth largest diamond producer in the world with 4.7 million carats in 2014, according to industry group Kimberly Process. Last year, the government received $23 million in royalties and other fees from diamond mines, down from $84 million in 2014. 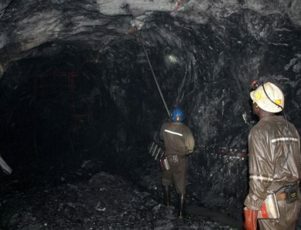 Chidhakwa gave the firms, including Chinese-run Anjin and Jinan, 90 days to remove their equipment and said company officials now required government approval to access the mines. He said companies in Marange had not fulfilled their investment promises and refused to be part of a new ZCDC, which was part of the reason why the government had to cancel the expired licences. Robert Mhlanga, chairman of the largest mine in Marange, Mbada Resources, declined immediate comment on the move.